Akesis Medical Services are committed to preserving the privacy of our customers and visitors to our website. We abide by the principles set out in the act. When you contact us to discuss your booking. We collect your information to fulfil any bookings you make. To send you news and offers about our services and products that may be of interest unless you have asked us not to contact you. To deal with any administrative queries or questions regarding your booking. We may contact you from time to time to provide you with information which we think you may find of interest. You can contact us at any time to remove your details from our marketing database. We will not make available or sell your information to third parties for marketing purposes. We employ security measures to protect the information provided by you from access by unauthorised persons and against unlawful processing. They help us to improve our website and to deliver a better and more personalised service. They enable us to estimate our audience size and usage pattern, store information about your preferences and customise our site accordingly. We may collect information about your computer, including where available, your IP address, operating system and browser type. This is statistical data about our users’ browsing actions and patterns, and does not identify any individual. Cookies are small files that are transferred from the website to the hard drive of your computer (device, mobile phone) and which help us to provide you with customised services. A cookie will not allow us to obtain information of a personal nature that will identify you to us, such as your name and address. We will only be aware of such information if you provide the information to us or you have set the preferences in your browser to provide this information automatically. The information we collect via the website in aggregate form allows us to carry out an analysis of user behaviour in general. This enables us to measure overall interest in the website and helps us to develop the website to make it more interesting/useful to users in general terms. We may collect information about your computer, including where available, your IP address, operating system and browser type. This is statistical data about our users’ browsing actions and patterns, and does not identify any individual. The analysis we perform does not include any personal information provided by you. We merely use the aggregate form of the information for these purposes. If you wish to know what information we hold on you, please contact us in writing supplying sufficient information to enable us to identify you. We will only send this information to the e-mail address we have on file, unless you send us your postal address and request that we send the information to you at your postal address (and we are able to verify the validity of this address). If you request to remove your personal information from our database or you wish us to amend or change the information we hold about you on our database, we will remove or amend any such information on your request. 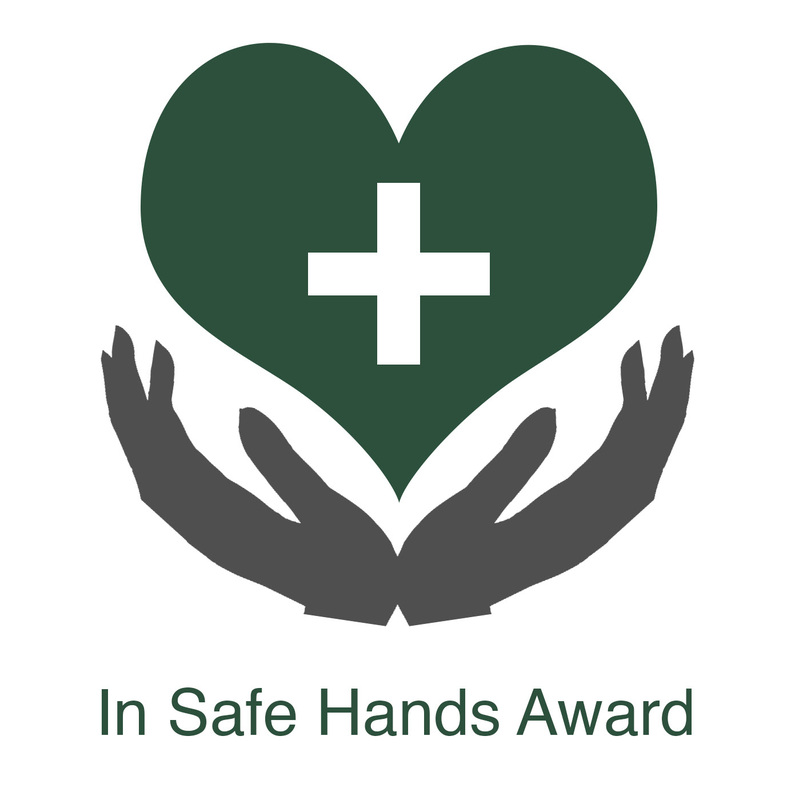 FAIB introduced the “In Safe Hands Award in 2017 at the request of Child Care settings. 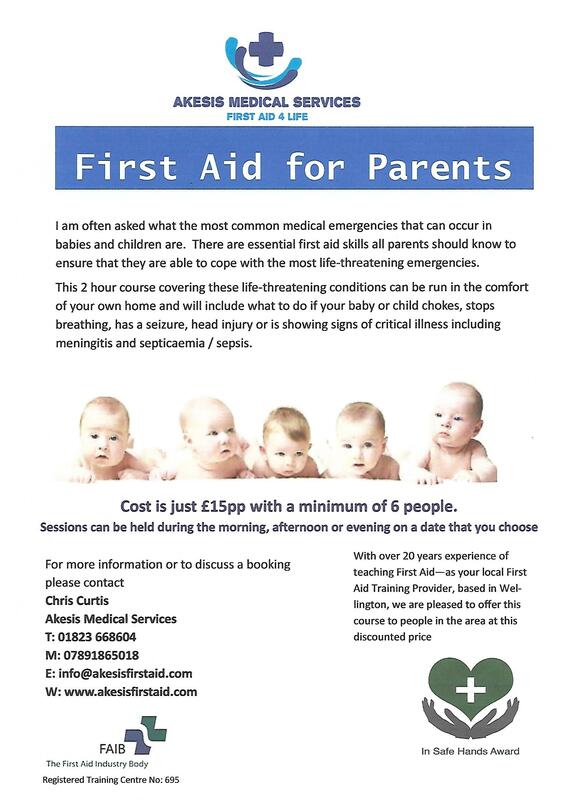 The Award can be achieved by a Child Care setting or a Childminder the requirement is that the setting MUST HAVE a minimum of 35% of staff trained on the Paediatric First Aid course (12 hours) and a minimum of 35% of staff trained on the Emergency Paediatric course. They must also have a Health & Safety Risk Assessment, a First Aid Risk Assessment and a First Aid Emergency Procedure Guide. The cost per Child Care Setting is only £20 + VAT. For pictures of the plaques please click here. Thank you so much for the course, we all really enjoyed it! It was action stations when a child choked on cucumber this week, but Rachel knew exactly what to do! Conversations generated from your training and training put into action! Based in Wellington, Somerset, we are aiming to support local businesses with their First Aid requirements. 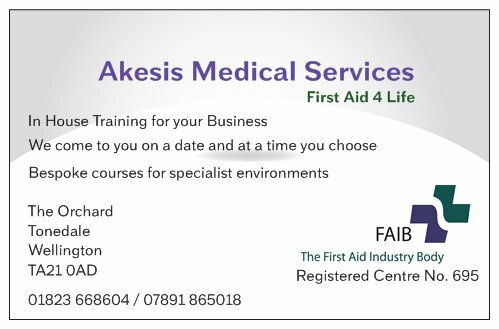 As such we are offering reduced costs for any First Aid course booked by the end of 2017. Normal price for one day Emergency First Aid at Work course is £65pp. We will run a course for any business based in or around Wellington for just £45pp if you have a group of 5 or more. Next Paediatric course to be held in Wellington on November 12th. 10am – 4pm. Cost to local residents just £60pp This is a blended course, students will undertake the first part on line followed up by the practical face to face session in November. Offers available on other courses, contact us for more information or to discuss your requirements.